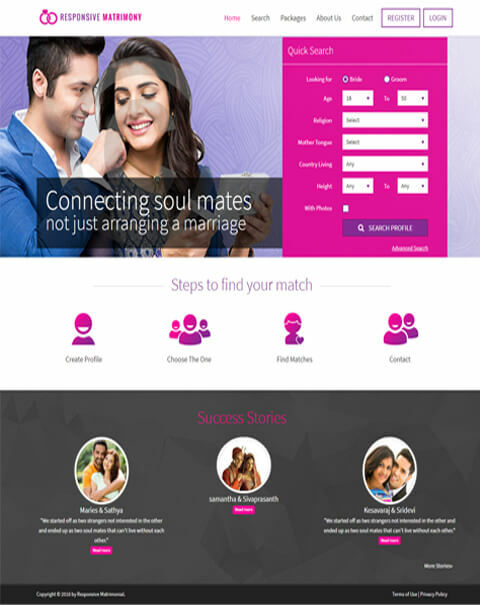 Entrepreneur Matrimonial Script is designed mainly for the people who look to match with their perfect partner from these globalized level, as of now there are 7.6 billion world’s population status where the people are moving to find their perfect life-partner from the traditional method to online digitalized method, since last a decade the 30 to 40% of the matrimonial revenue script are more than 100 billion in their industry. 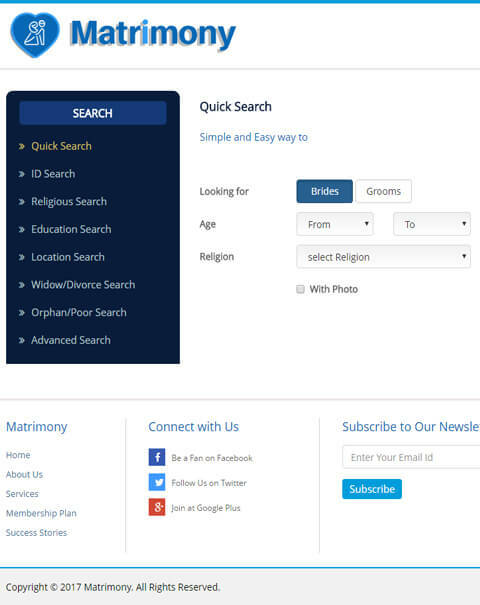 This script has category classification where the users can search the matching partner based on the religion which is convenient for the users to find their right partner. 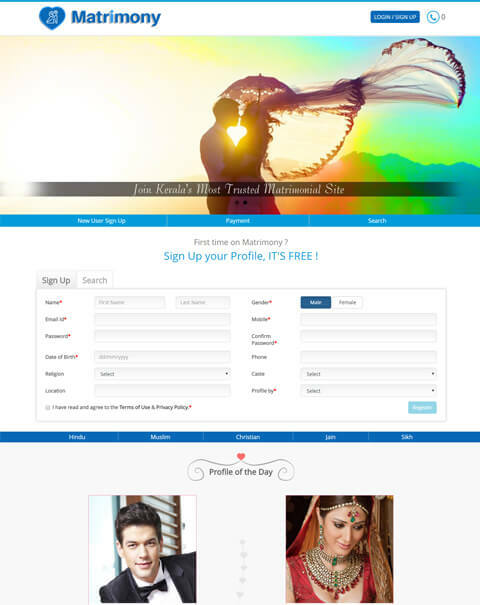 In our Readymade Matchmaking Website Script the user can made their sign-up process in simply and secure method, by providing the mandatory userdetails in the site, the user can submit and upgrade their membership plan in the respective user profile by making the online payment transactions and then the user can upload their bio-graphical data with their photos and then the user can search for the partner by typing the required keyword user name, education, occupation, and with the matrimonial ID search. The users can shortlist the matching profile by seeing the other user’s behavior and stuff, and then the can user can add the favorite account in the favorite list by maintaining the favorite user record. 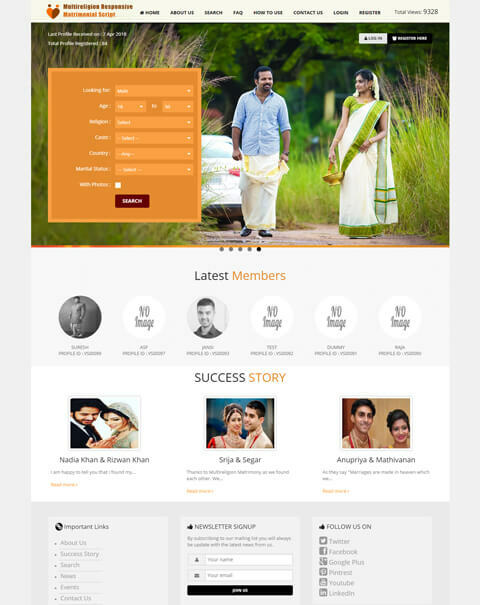 Our Open Source PHP Matrimonial Script the admin can manage the site details with authentication admin log-in, the admin can see the payments details and he has authority to set the members with matrimony id , can also send the information to the members of their account expiry .The admin can also see the total members of active, inactive and paid member’s statistics and also the statistics of male and female users in the single dashboard. 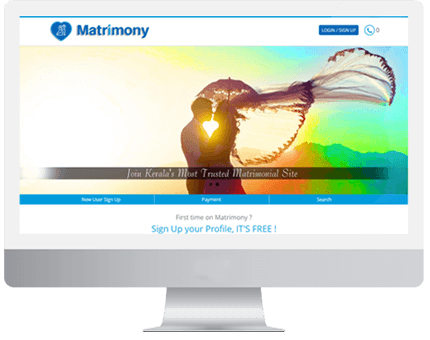 The script is customized with the dedicated customer care support and we also added some additional search category for the users by including advanced search, orphan search, and widow/divorce search. The user can also follow this site from the social networking sites like Facebook, Twitter and Google plusetc. 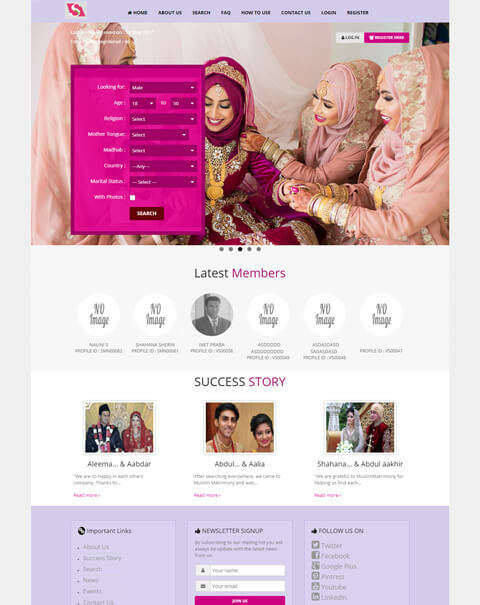 It is the best way to get revenue model from the subscribers or from the Google ads, banner advertisements etc and also the site is build with optimized SEO-guidelines to make site optimization and also the best script to maintain account details by generating reports in proper file format to make professional company documentation. The user can get the best customization user requirementsite from our world-class technical developers. 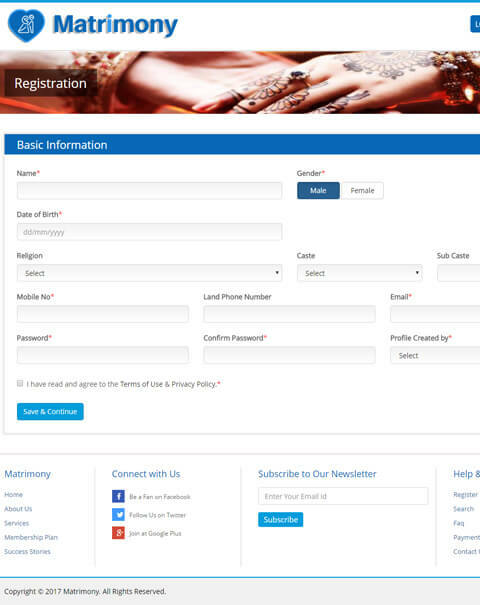 The user can get the intimation at the time of the user membership account expiry. The user can get regular updates from the site by signing-up the account with their mail id. 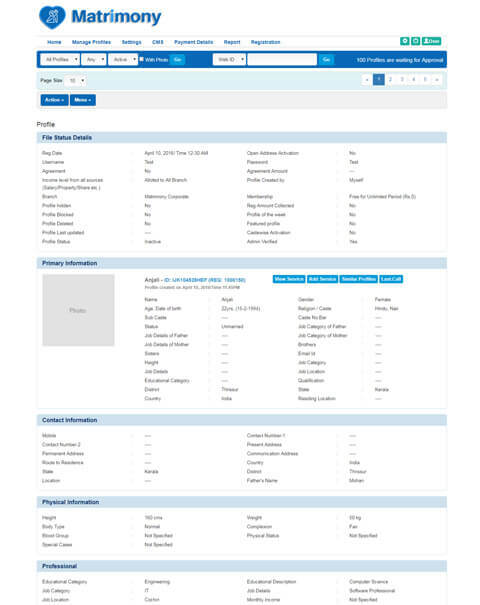 The site is analyzed andcustomized with high page-speed insightsto load the content of the webpage. Hey guys you all did a very nice job. You have helped me all the way. Nothing I did much to develop this software as they provided me readymade everything. According to my wish I was able to customize the features and I like it very much. It is an awesome and mobile responsive script! Without a doubt, they have an awesome team to work!! We would definitely recommend your company. There is a lot of Script selling companies running in the market but none of the developers we've worked with thus far I appreciated it.